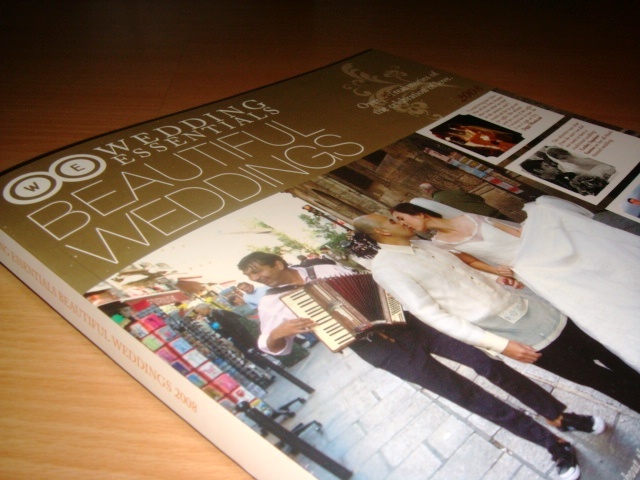 Why do I love bridal magazines so much? There is so much cynicism in this world that I can no longer remember how many times people have scoffed when I told them I was getting married. They would bring up issues on annulment and divorce, as if in an attempt to (though I’m sure not intentionally) destroy my idealistic thoughts on love and marriage. The stories in the wedding glossies uplift my spirits. When I read about unlikely love stories, and triumphs over the odds, I become more hopeful of our own love and our future together. 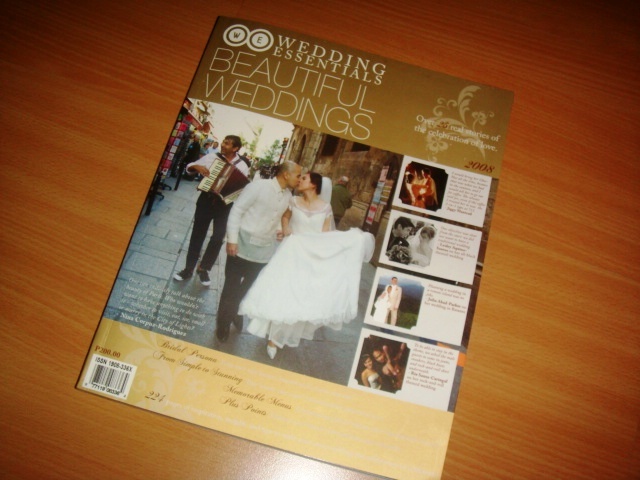 The latest issue on Beautiful Weddings by Wedding Essentials follows the 2007 style, with minor improvements. The stories seem more heartfelt, and they’ve included a list of each couple’s key suppliers. 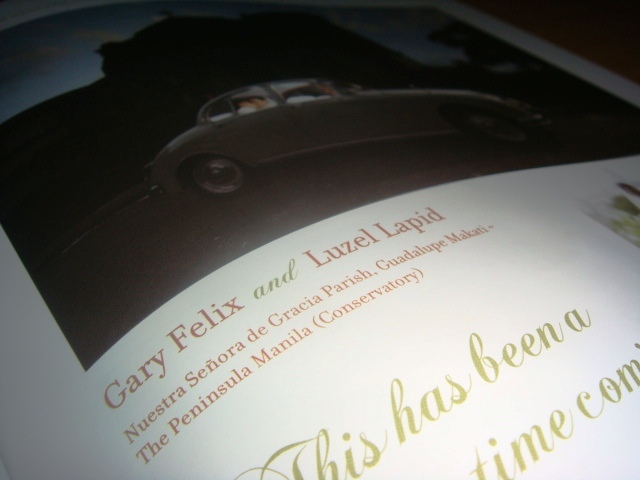 On the cover is Nina Corpuz’s marriage to Vince Rodriguez in the most romantic city in the world, Paris. 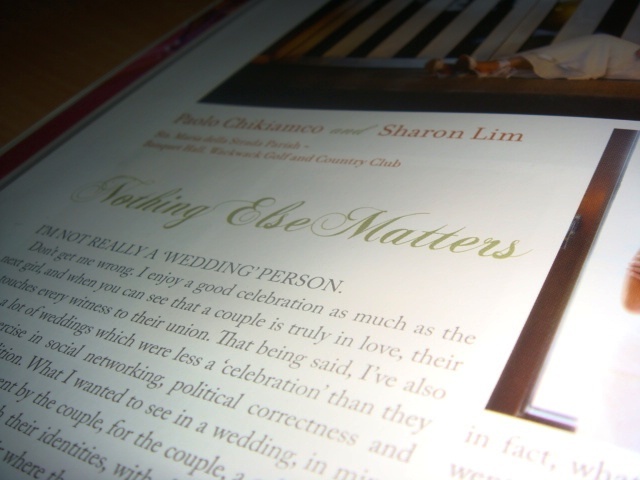 Inside, I saw features about the weddings of fellow w@wies Luzel and Sharon, whose preparations I read about in their posts on our online community. Although I didn’t know them personally, I felt so happy for them. I enjoyed reading their stories. 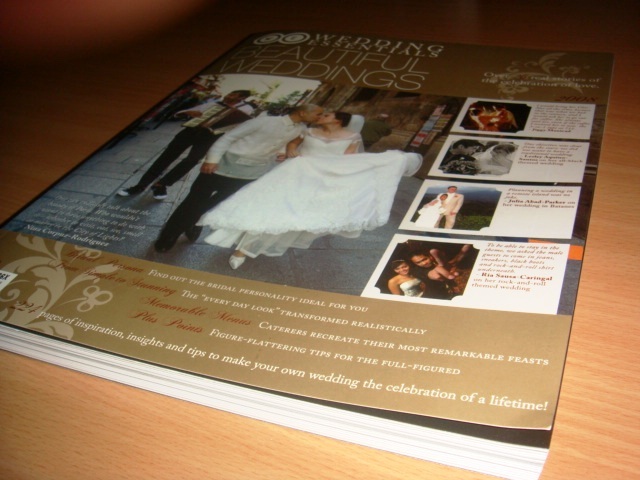 Maybe someday, our own story would be on the pages of a magazine and bring hope to other couples planning their life together towards forever.